We also recommend that you read the accompanying Privacy Statement and the Legal Notice to get a full understanding of how the Website works. The term 'cookies' refers to small files sent by websites that is stored on your device by your browser. When you visit the Website again using the same device – such as a computer, telephone or tablet – the information in this text file is consulted so that we can recognise you. This allows us to analyse our website for continuous improvement and increase your ease of use, for example by showing you relevant messages and making it easier to click through to different pages. Functional or necessary cookies ensure that our Website functions correctly. We also use these functional cookies to detect errors in the Website, which enables us to improve the Website even further. These cookies provide a secure environment and ensure, for example, that you do not lose your products in the shopping cart or that you can store your login data so that you do not have to enter it again and again. Through these cookies, the Website remembers, for example, your user name, as well as your chosen language and country. Analytical cookies are important to us because they provide us with information about the use of the Website. These statistics give us insight into the number of visitors and the use of the Website. This enables us to respond to our customers' needs and thus improve ease of use. These cookies also allow us to recognise returning visitors and to adapt the Website accordingly. In concrete terms, this means that we can see how you entered the Website and when and for how long you are visiting or using the Website. Some pages of the Website contain applications that are connected to social media, such as Facebook. Social media make it easy for you to share things. These cookies are placed by social media websites themselves. These parties recognise your cookies when you want to share information from our page. Because this information ends up with third parties, you are advised to consult the privacy and cookie statements of these parties on a regular basis. On the Website, you may encounter special offers and advertisements from ourselves or from third parties. You may also find our advertisements on third party websites. To keep these ads relevant, we track for instance which ads you have already seen, which ads you have clicked on and how often. By combining this information, we can identify your advertising interests and tailor our ads and those on our Website accordingly. 'Session cookies' remain on your device only when you visit the Website. Other types of cookies also remain stored after your visit to the Website. The storage periods for these cookies differ, but they are never stored any longer than is necessary for the purpose for which they are placed. As a user of the Website, you have control over the authorisation, blocking or deletion of cookies. To do this, see 'Options', 'Settings', 'Tools' or similar settings of your browser. Please note that by deleting or blocking cookies, certain functions on the website may no longer be fully functional. It is also possible that after deleting cookies you will have to reset your preferences or log in again. More general information about cookies and about how to change your cookie settings can be found at http://www.allaboutcookies.org/. Third parties who place cookies via the Website may use these cookies to collect information about your browsing activities on certain websites. One of the reasons for this is to display relevant online advertisements. There are several options to unsubscribe from cookies used for these purposes. More information on this can be found at http://www.youronlinechoices.eu/. On the Website you will find a list of cookies that are placed on the Website by PPG and by third parties. Due to the non-static nature of the Internet and the external parties involved, this overview is a snapshot. It is therefore possible that not all current cookies or websites can be found directly in this overview or that some of the cookies that are displayed have already been modified or have expired. PPG strives to keep the overview as up to date as possible and invites you to send any questions or comments to: customersupport.acuk@ppg.com. 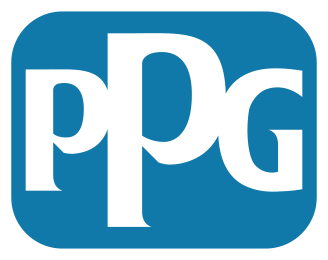 The PPG logo is a registered trademark of PPG Industries Ohio, Inc ©. All Rights Reserved.